Technologies, focusing on security | Why Lanworks? You are here: Home / Why Lanworks? Since 1986, our specialty has been the world of emerging technologies, focussing on security and networking. We take the time to understand your business needs and then we go above and beyond to help create innovative solutions designed with your business goals in mind. 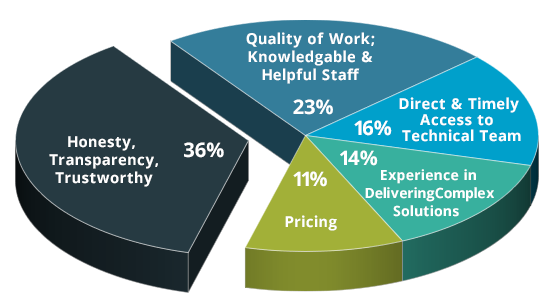 When you partner with Lanworks, you get more than just a line card of products and services – you gain a professional, hands-on technology partner who is dedicated to giving your business a competitive advantage..
…we’re positioned to assist our clients through the entire cycle, from early stages of evaluating IT solutions to post-implementation support. From conceptualization to implementation to training, our goal is to put you in a position to do what you do best: your work. We take time to understand your business and will provide you with the expertise you need.